Be the first to share your favorite memory, photo or story of Minnie. This memorial page is dedicated for family, friends and future generations to celebrate the life of their loved one. Minnie Belle Redding Stephens was born January 16, 1935 to the late Eugene (Jenkins) Redding and Mattie M. Timmons Redding in Brooksville, FL. She was the 5th and last child born to this union. Minnie attended school in Hernando County, graduating from Moton class of 1954 as Salutatorian. She was a faithful and active Christian of Bethlehem Progressive Baptist Church until her health failed. Minnie served on the Pastor’s Aid. She was a homemaker of 35 years for the Honorable Alfred McKethan and she continued to pursue her career with his extended family for an additional 15 years. Minnie was a member of Frederick Kelly Elks Lodge #1270 and Kelley’s Temple #1004. On June 26, 1954, Minnie married Harold Stephens and to this union 6 children were born. Throughout life Minnie was a great joy of life, a great cook and she always loved to greet loved ones with hugs and kisses. She shared her warm and loving spirit through the delicious foods she prepared. Minnie was most known for her chicken and rice and peach cobbler. She contributed her culinary talents to the Timmons Family Reunion since its origination in 1968, where she shopped for the groceries and served as head cook. 1 Corinthians 16:14 – “Let all that you do be done in Love”. Minnie lived and labored by this verse selfless helping and doing for others all that she could, even at times when the task seemed impossible. Love is what it does and she put in her work for love from her heart. May the work she has done speak for her. She was pure and one of a kind and will greatly be missed by her family, friends and the community. Minnie was preceded in death by her; Parents, Husband Harold Stephens, Daughter Myrtle Denise Paige, Sons Harold Givohn Stephens and Clinton Arkeith Stephens, Brother Eugene J. Redding Sr. and Sisters Verna Mae Weems and Emma Lou Redding. 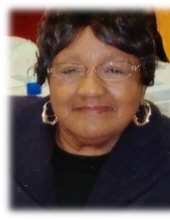 She leaves to carry on her legacy of love; her Loving, Caring, and Devoted Daughter, Harriet L. Willis; (2) Sons, Stanley L. Stephens Sr. and Dwight P. (LaTanya) Stephens; a Son/Nephew, Eugene J. (Detrice) Redding Jr.; a Daughter, Martha C. (Joseph) Maner; (1) sister, Lola Bradwell; Grandchildren, Pierre Paige, LaMel Frazier, LaTara (Michael) Dabney, Andretti (Andrea) Willis Sr., Tiffany Stephens, Markesha Frazier, Lamar Stephens, Tresea Stephens, Omar Stephens, Kimberly Stephens, Kandyce Stephens, Tiara Jackson, Joscelyn Stephens, Jasmin Stephens, D’Whitney Stephens, Marqui Redding, Eugenae Redding, and Jowatha Maner. (1) Sister-in-Law, Hattie Redding; Special cousin, Margie Thomas; (19) Great-grandchildren, Antinique, Anthony and Andres Owens, La’Myia and Ka’Mia Frazier, J’Nia Frazier, Andretti Jr. and Abriel Willis, Omaria and Omar Henry, Destiny Williams, Lenora, Caleb, Faith and Hope Dabney, Aaron Jackson, Kayden Key, Camille Germain, Jayden Jones, Ah’Neris McGhee, Rashad Posey Jr. (7) Nieces, Madalyn (Alfred) Holmes, LaVerne Redding, Loretta J. (Daryl) Bailey, Maxine O’Banner, Claudia Griffin, Deborah (Charles) Martin, and Antoinette (Victor) Jackson; (4) Nephews, Russell Bradwell Jr., Willie Redding, Michael (Nadine) Redding, and Tommy (Alphia) Hughes; (2) God-daughters, Dr. Mae Lois Henton and Delores Williams; Best Friend/Cousin, Annie Ruth Saxton-Washington; Special Cousins, Rosa Etta Perry, Etta Hicks, Annie Carol Washington, and Ruby Hart; a Special Friends, Romie Lee Kincaid and Clinton Terrell; and a Special Caretaker, Yolanda (Matthew) Thomas. She also leaves to cherish her memory a host of other nieces, nephews, cousins, and many sorrowing friends. To send flowers or a remembrance gift to the family of Minnie B. Redding Stephens, please visit our Tribute Store. "Email Address" would like to share the life celebration of Minnie B. Redding Stephens. Click on the "link" to go to share a favorite memory or leave a condolence message for the family.